Sopladora con mochila de 2 tiempos está calificado 4.8 de 5 por 390. Calificado 5 de 5 por Rchorro8181 de Great blower I have been so excited to use this blower cause it’s like a new toy for me and Ih finally got the chance to. Easy start up and blows beautifully. Instructions on the side of the blower were so easy to follow and it started up easily. Power on this leaf blower is pretty dang good. Noise is pretty loud but I think that is what most gas leaf blower are like. Great tool to use for grass clippings and leafs if u don’t want a messy yard. Plus the weight is pretty light. I’ve used others but this is actually lighter then other blowers I have used. The backpack style is nice because it forms around ur hips and back and it was a nice fit. Calificado 5 de 5 por Bobawan de Mega power I have two giant maple trees in my yard. It has always been a major job to rake the mass of leaves that fall every year. Due to health issues it has become a struggle for me to get them raked up. I decided to buy a back pack blower. I looked at several model ranging in price. I read review after review and decided on the Ryobi. For the money it was the sound choice. After assembly I fired it up according to the instructions and let it run till it warmed up. Man what power! I was able to clean both the front and the back yards in no time flat! 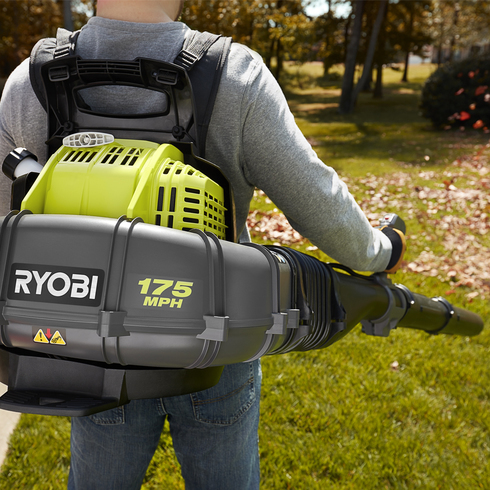 I would say to any one looking for a good backpack blower think Ryobi! I would definitely buy one again! Calificado 5 de 5 por bsol04 de Great blower for price For the price, this can't be beat. Very affordable and quite powerful. Wet leaves have no change against this beast! 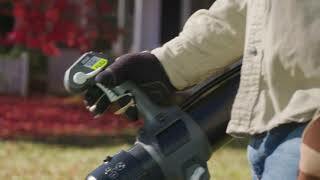 Switched from a battery powered blower to this, and the difference was night and day. My previous blower is powerful as well at 560CFM, but the battery life was just not there. Even having 2 batteries, it just wasn't enough for my yard. Paired with gas and an extra 200CFM, this Ryobi fit the bill quite nicely. I am extremely happy with the purchase and I now look forward to doing the leaves, rather than dreading it. I own quite a bit of the Ryobi tool line, and this is just another gem from a great brand. Calificado 4 de 5 por waiter47 de Good Power at a Great Price I bought this to clear my 1.4-acre yard that is wooded on 2 sides. The power this blower has is great for the price paid. It's relatively lightweight as well - although 4 hours of 20+ pounds on your back will still take its toll. The "cruise control" function was fantastic as well - no constant squeezing! I read a lot of complaints about assembly, but I didn't really experience a major problem. Just needed a good combo of muscle and finesse. The only reason I didn't give it 5 stars is that the gas had to be filled approx. every hour. It either needs a bigger gas tank or should be more fuel-efficient. Other than that, it was perfect for what I needed. 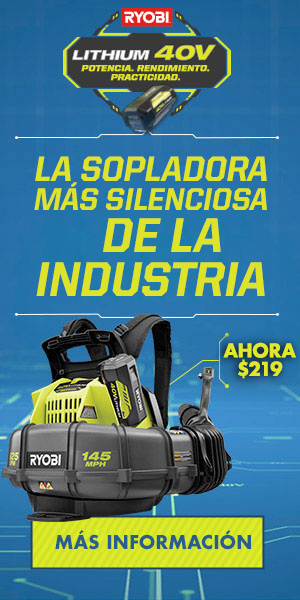 La sopladora con mochila de 2 tiempos RYOBI es la sopladora con mochila más potente del mercado. Tecnología CROSSFORCE de ventilación que brinda el mejor rendimiento en su clase: 760 PCM y 175 mph. El motor grande de 38 cc brinda una mayor potencia de limpieza y un nivel único de eficiencia. Esta sopladora presenta un gatillo de velocidad variable y control de crucero para que pueda ajustar la velocidad en cada tarea. Disfrute de la comodidad y la asistencia sin importar cuánto tiempo trabaje, con las tiras ajustables en los hombros y espalda contorneada. 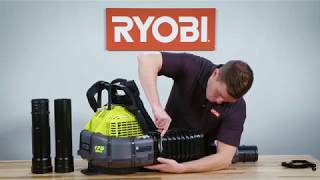 La sopladora con mochila de 2 tiempos RYOBI tiene una garantía limitada de 3 años.